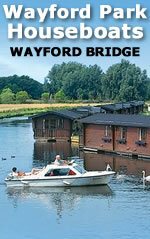 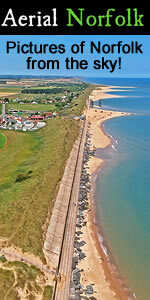 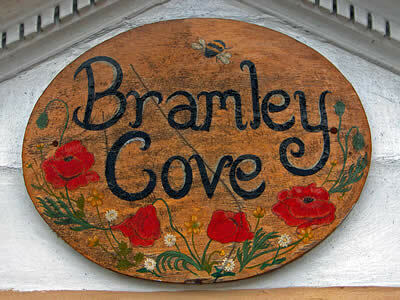 At the northern end of the Norfolk Broads network, these two villages are only a few miles from the sea. 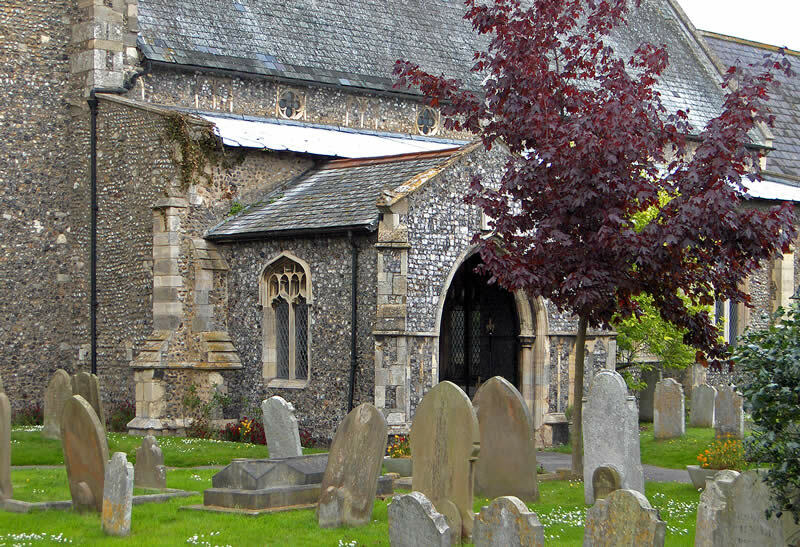 Stalham and Sutton are good centre's for exploring North Norfolk, with Stalham only being 4 miles from the nearest sandy beach. They also lie at the northern end of the Norfolk Broads, with both villages connected to the River Ant. 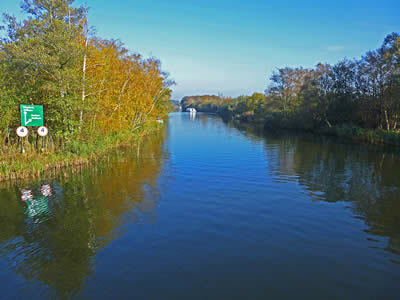 The river flows downstream to Barton Broad, How Hill and Ludham Bridge, through some of the most beautiful Norfolk Broads scenery. 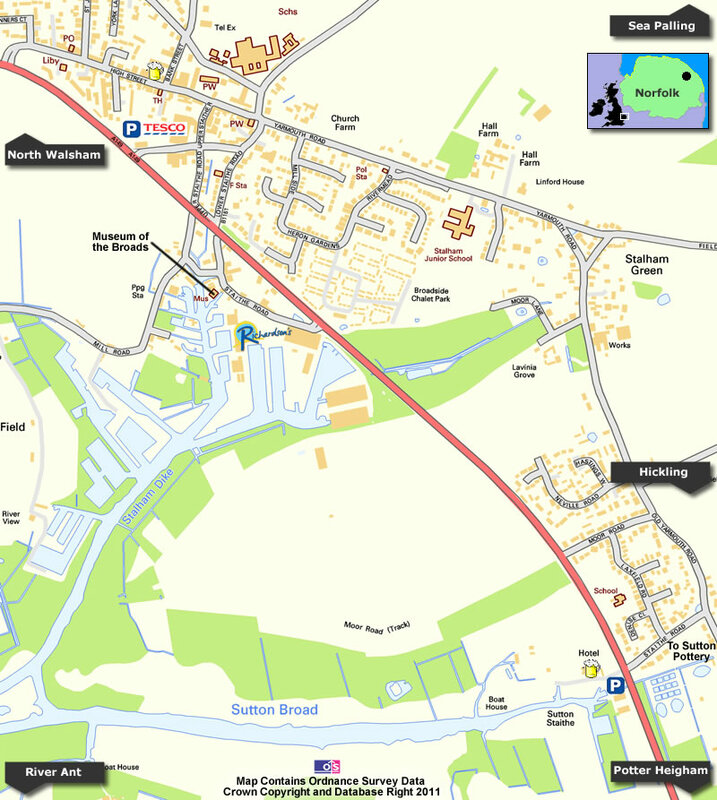 Not surprisingly, Stalham is one the major starting points of Norfolk Broads boating holidays, with Richardsons being based here. 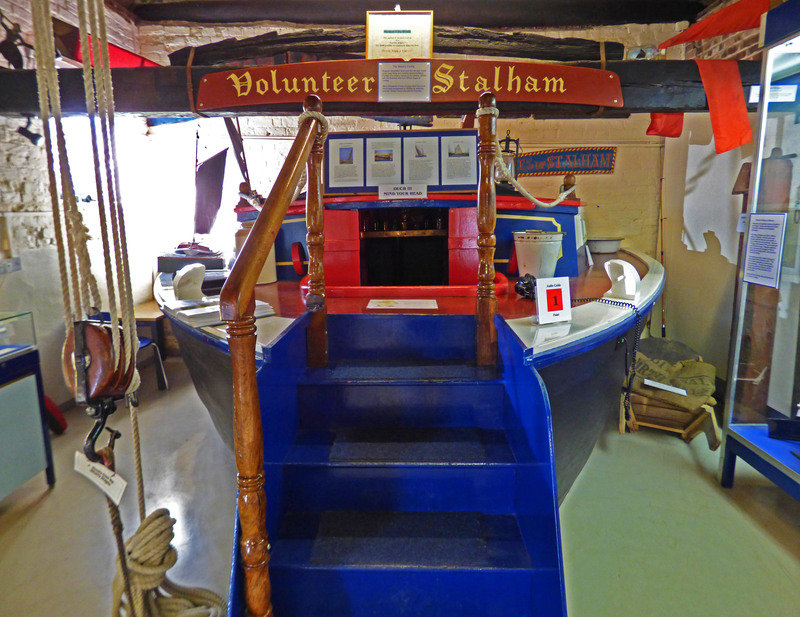 The staithe at Stalham also hosts The Museum of the Broads, showing the human effect upon the Broadland environment. 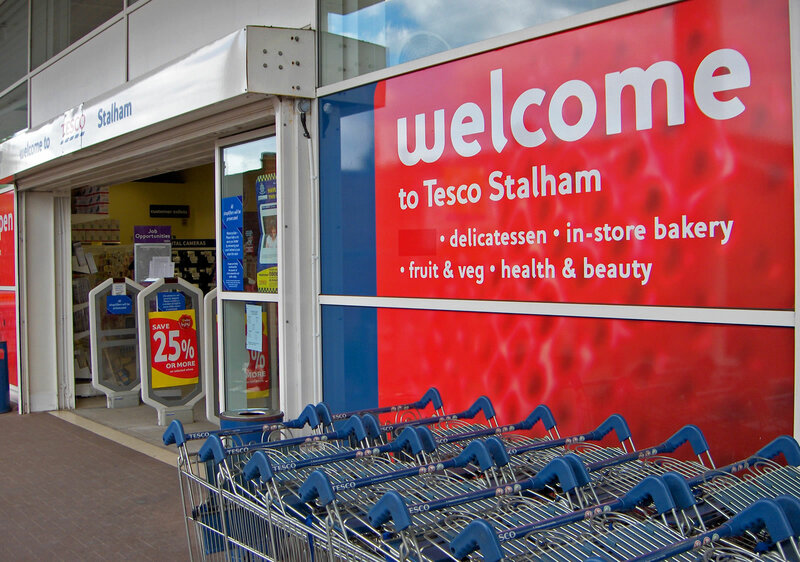 Stalham itself, is a typical North Norfolk town, with a High Street containing a range of shops and other facilities, plus a nearby Tesco superstore and petrol station. 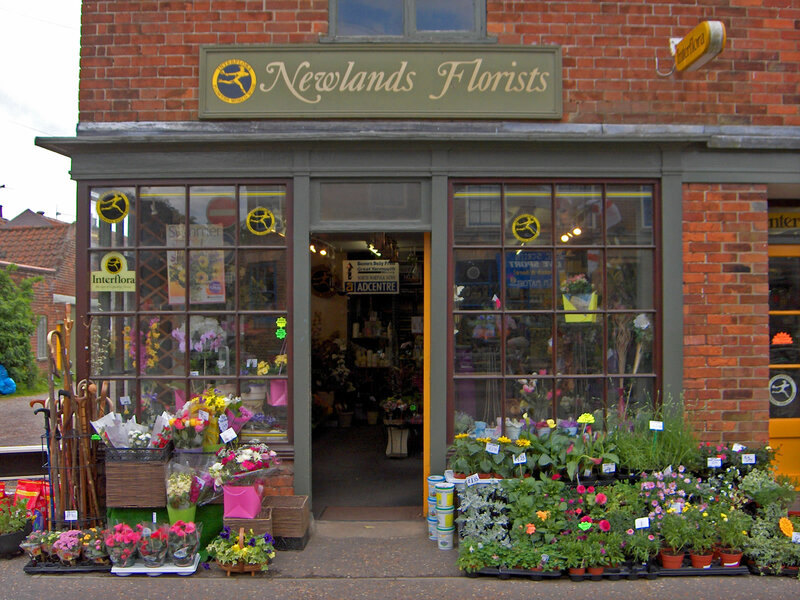 A small market operates on Tuesdays and the town hall hosts various regular sales, including a farmers market on alternative Saturdays. 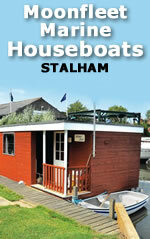 Sutton Staithe lies at the eastern end of Sutton Broad and has good moorings and a hotel/pub. 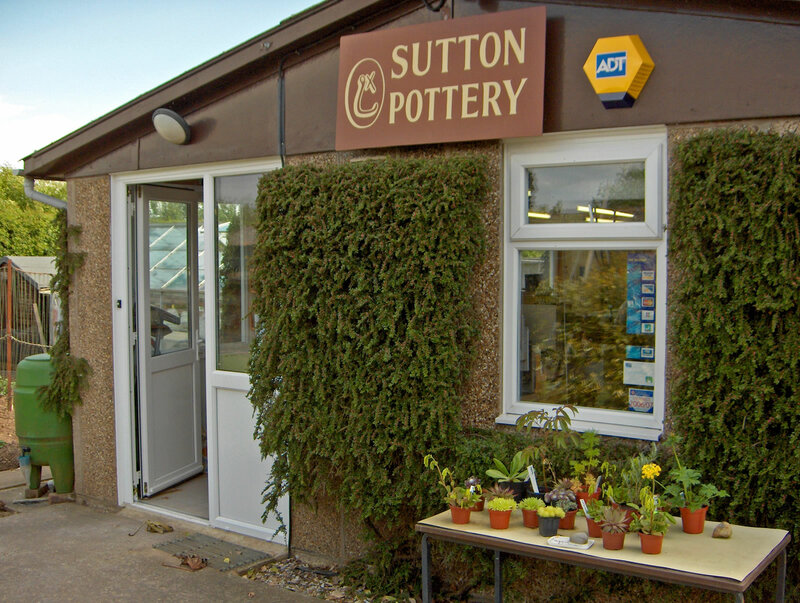 The village itself, on the opposite side of the busy A149 road, has a shop with post office and garden centre and a pottery (Sutton Pottery). 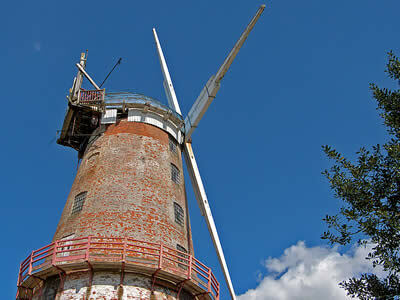 Sutton Mill is located about a mile from the staithe and is a nine storey corn-mill, currently not open to the public. 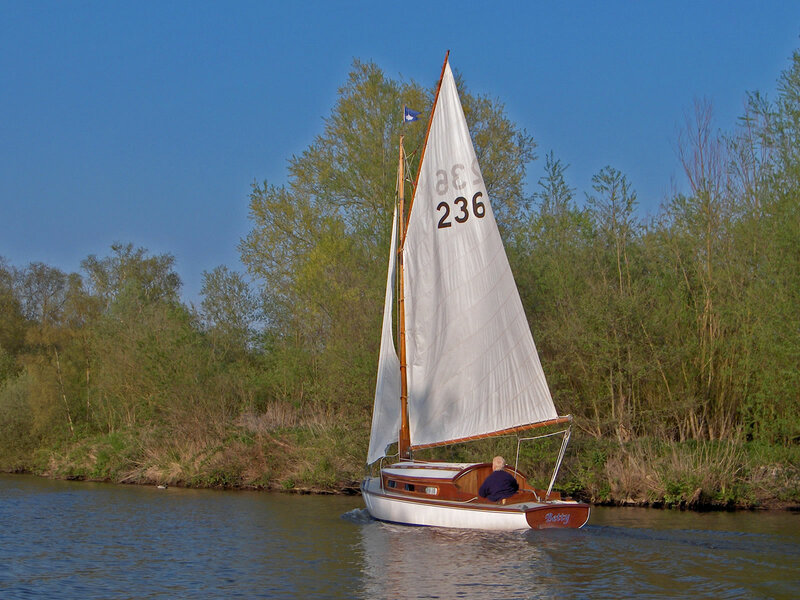 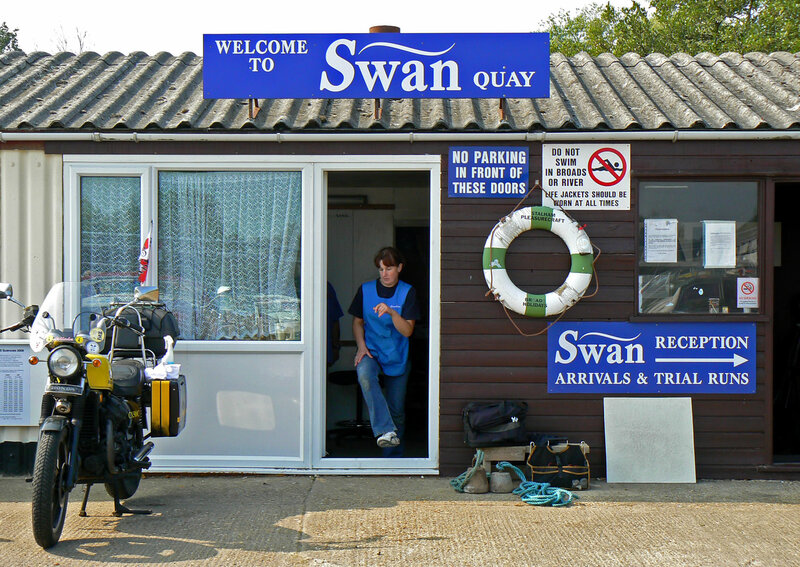 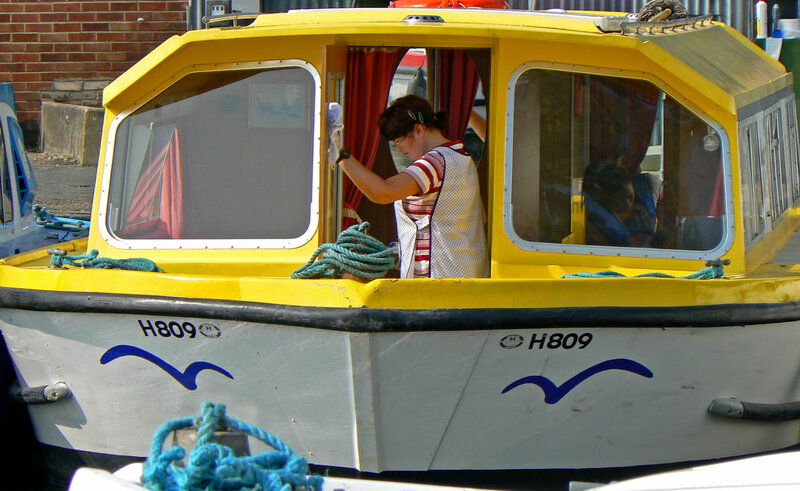 We start our tour, where most visitors start their Norfolk Broads Boating Holiday, at Stalham Staithe, where boatyards such as Richardson's and Richardson's Moonfleet Marine, hire out cruisers to holidaymakers. Richardsons was started during WW2 in 1944 at Oulton Broad by Robert Richardson and his son, also called Robert. 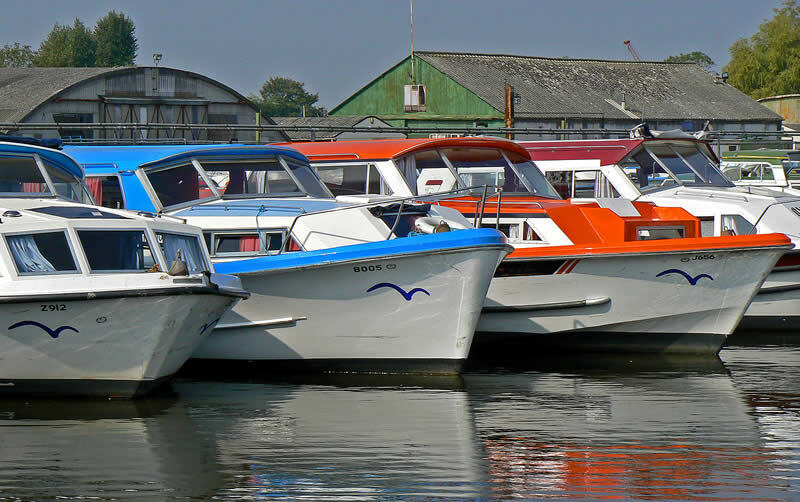 During the 1950's the Richardsons's boat hire business out grew its base at Oulton Broad and bigger premesis was purchased here in Stalham. 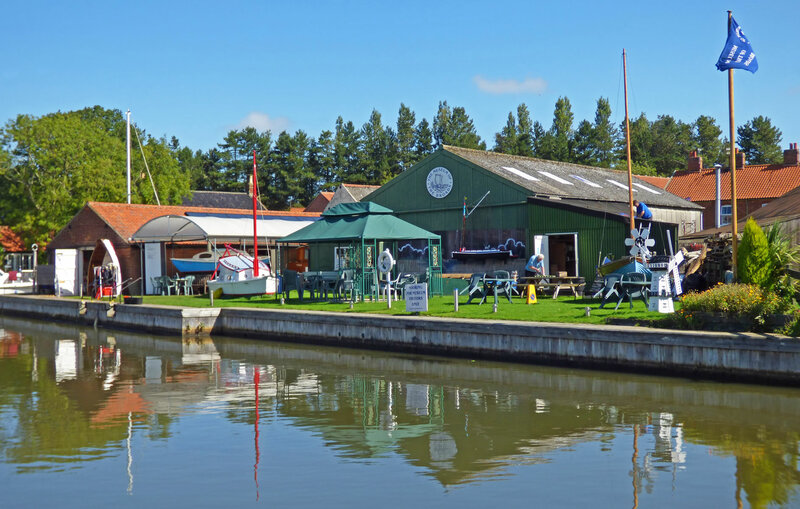 During the 60's, 70's and 80's the business continued to grow and became the largest Norfolk Broads boatyard with around 250 cruisers. 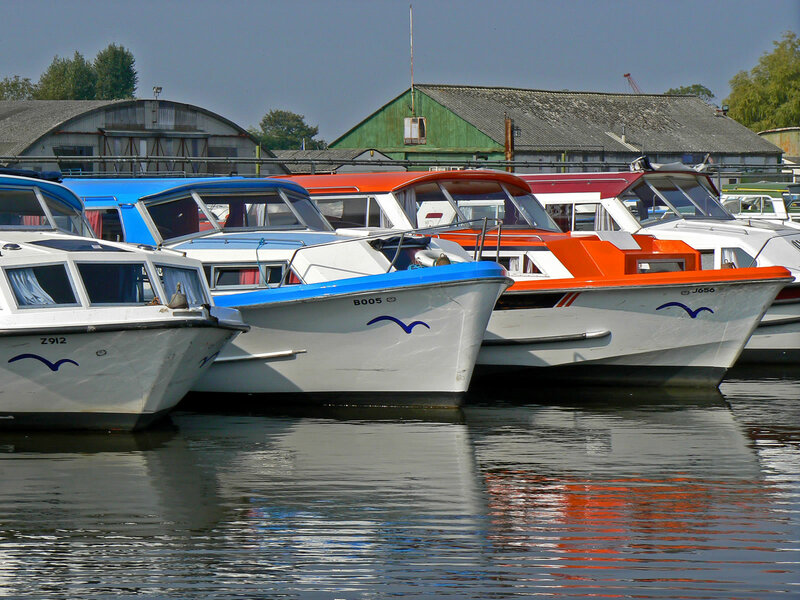 Today, the business still has the largest hire fleet on the Broads and is still run by the Richardson family. 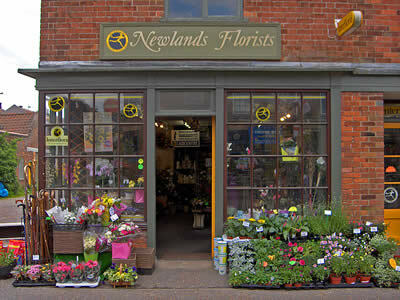 Robert Richardson still goes into work on a daily basis and his sons Paul and Clive are now directors of the business. 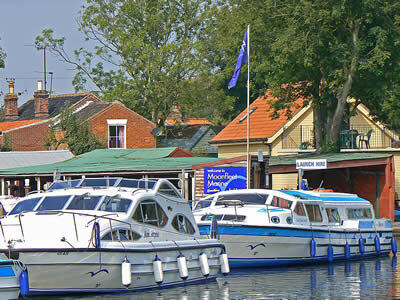 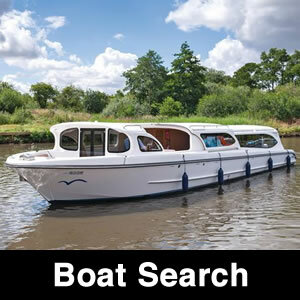 Stalham is a good starting point for a Norfolk Broads boating holiday with Richardson's boatyard based here, offering a fine choice of comfortable self-drive cruisers, with a good choice of layouts and all well equipped to a high standard you just need to choose the one that's right for you. 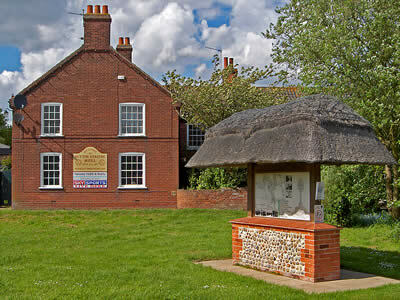 Nearby is the Museum of the Broads, which is also located at Stalham Staithe and shows mans influence on the Broadland landscape. 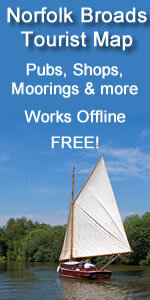 See our separate tour of the Museum of the Broads. Opposite Stalham Staithe on the opposite side of the main A149 road is a Tesco store. 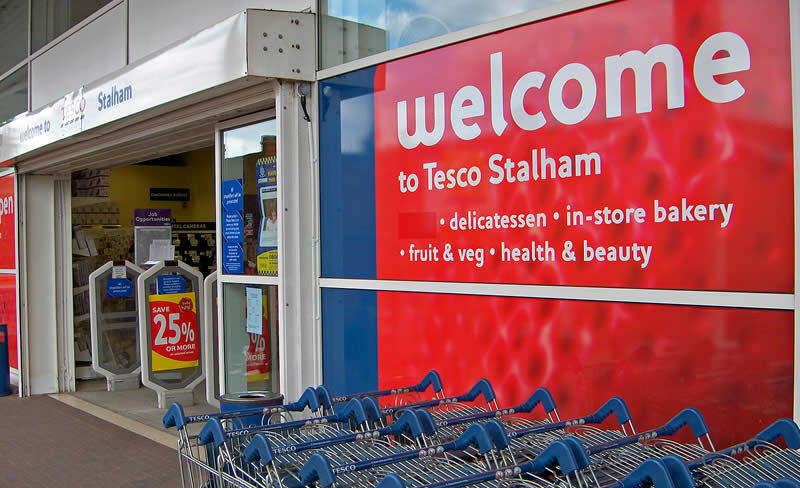 For many holidaymakers, this is an ideal place to stock up on essential holiday supplies and this store can get quite busy on summer holiday changeover days! 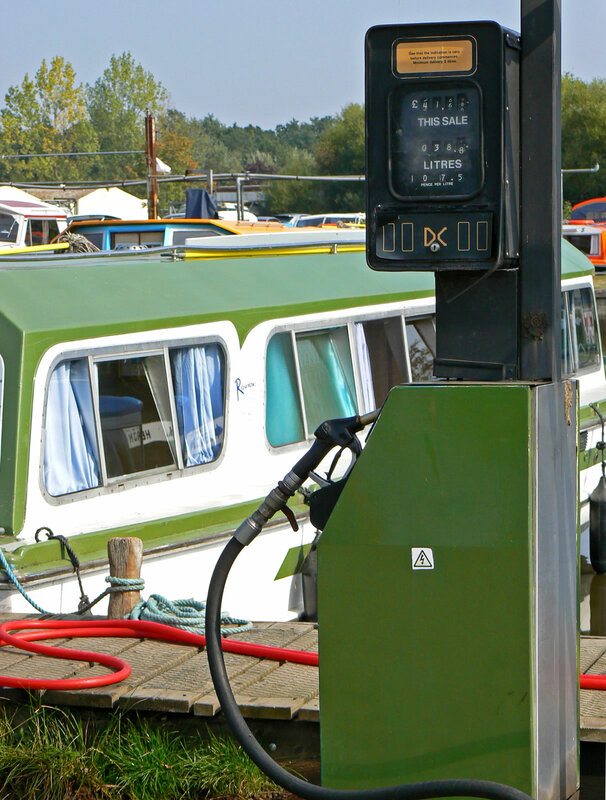 The store has a separate petrol station. 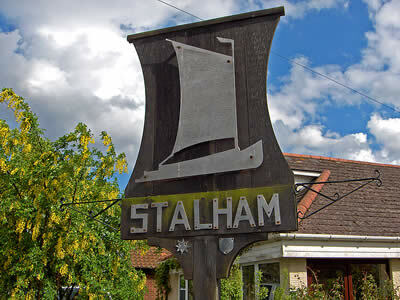 We now progress into the main part of Stalham Village. The High Street runs down the length of the village and has a great collection of take-away's, pub and various other shops. 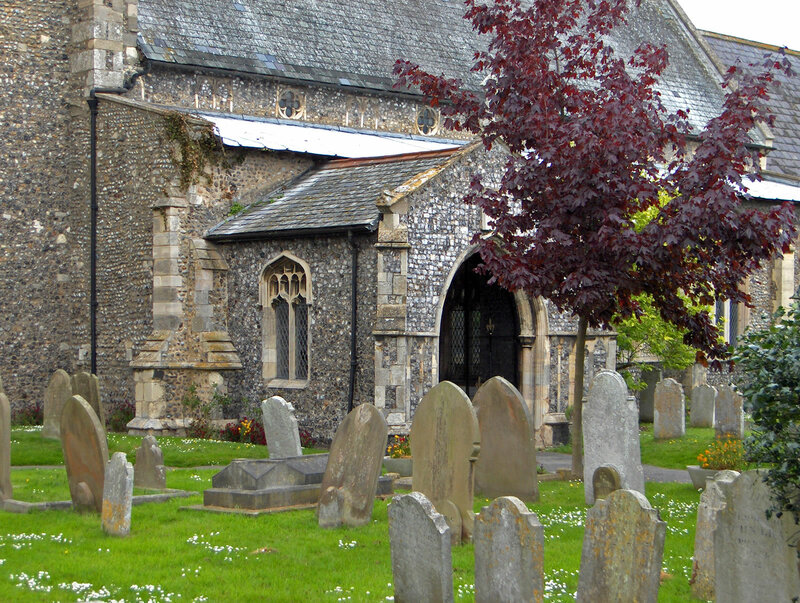 Mid-way along is the parish church of St Mary, which is set in its own grounds. 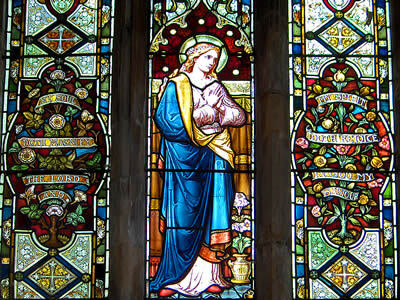 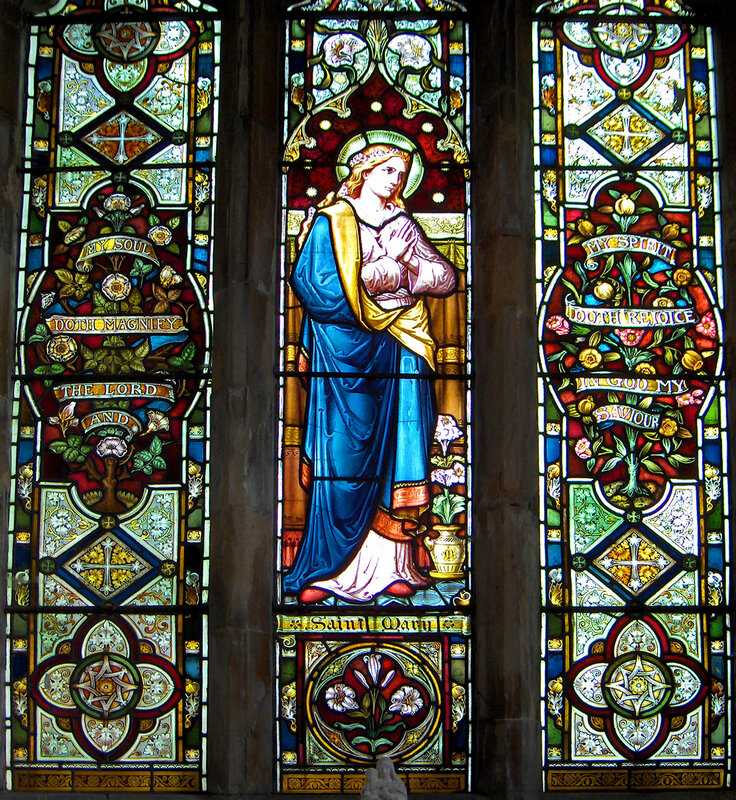 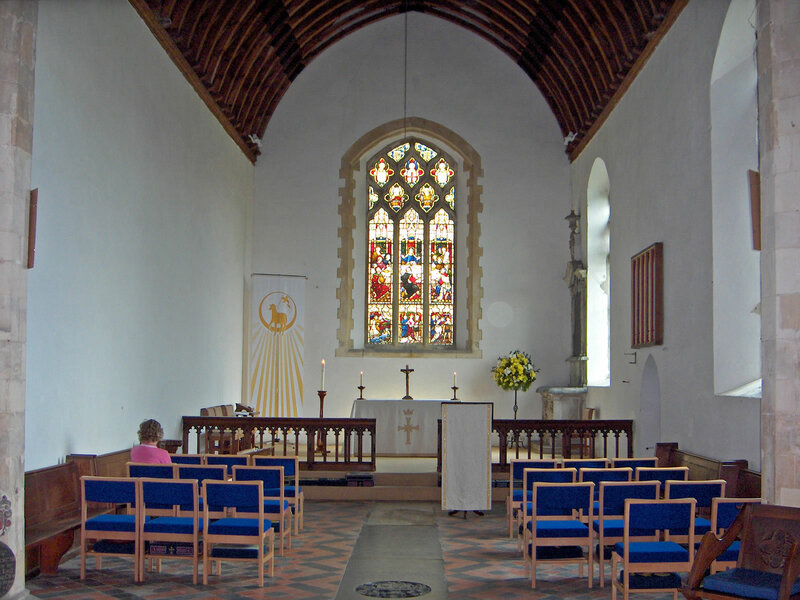 Inside, the church is quiet and peaceful with some fine stained glass windows. 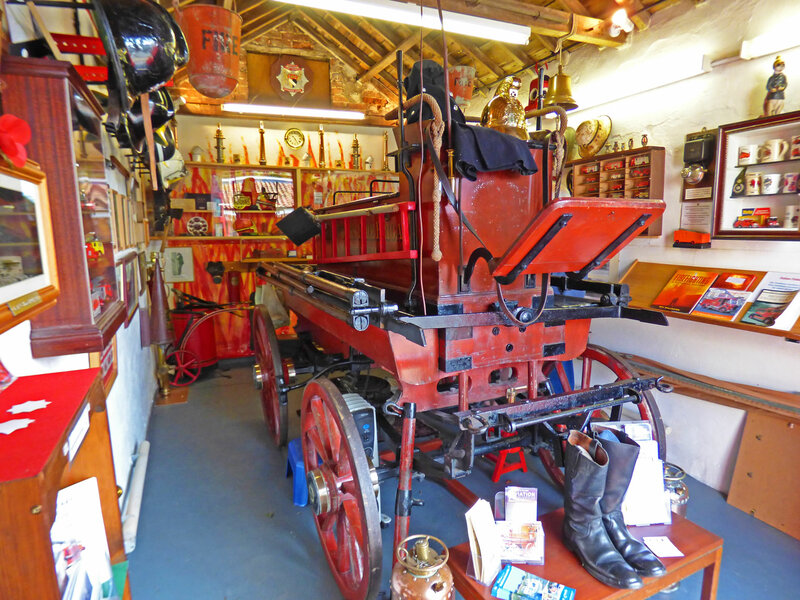 Situated in Stalham High Street you will a small building (adjacent to the church) which houses a museum collection of fire related items, with the star attraction being an original horse drawn pump engine. Stalham Firehouse opened in 1833 and is thought to be one of the oldest organised Fire Brigade's in England. 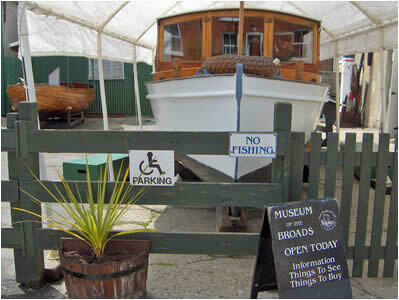 The museum is open weekdays 10-12am and 2-4pm (except Wed), April to September. 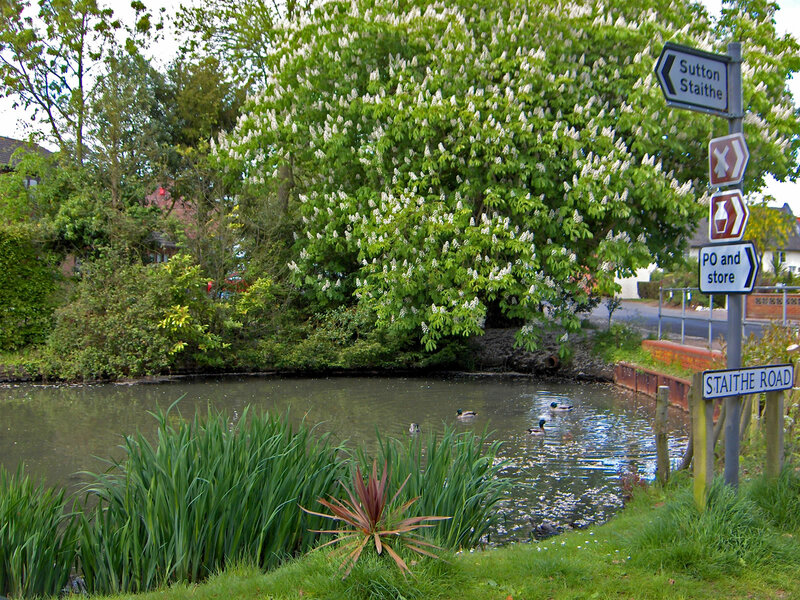 A little further down the A149 road is pretty Sutton Staithe and a much quieter place to moor than Stalham. 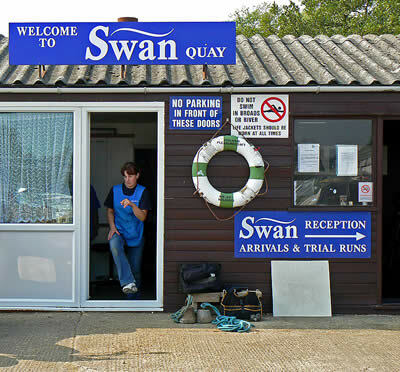 There is a grassy area and an information board on the staithe. 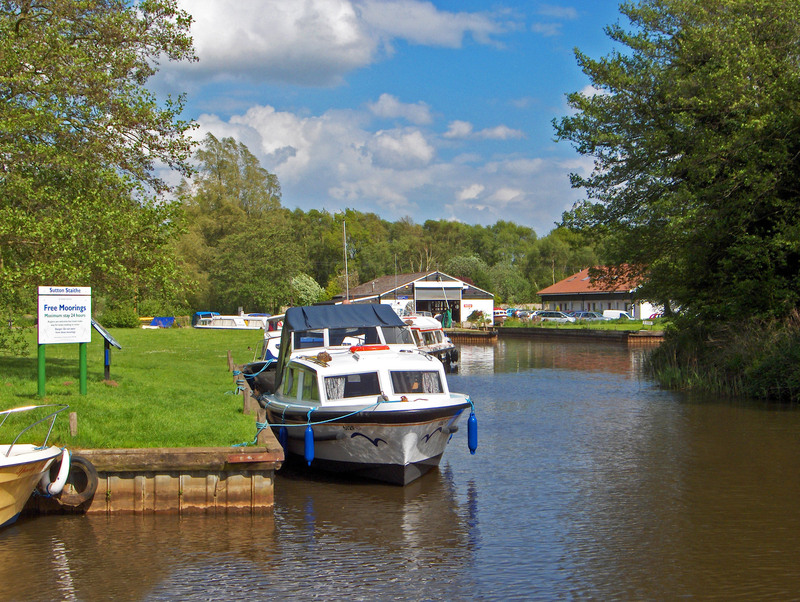 The staithe at Sutton (and Stalham) is accessible by water from a channel off the River Ant. Most of the channel is heavily wooded, but opens up as you get onto lovely Sutton Broad. Coming back to Sutton Staithe, there is the Sutton Staithe Hotel situated right next to the moorings. 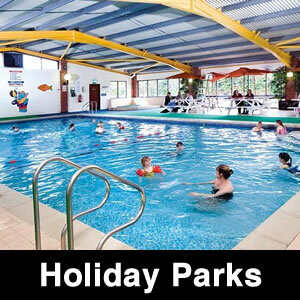 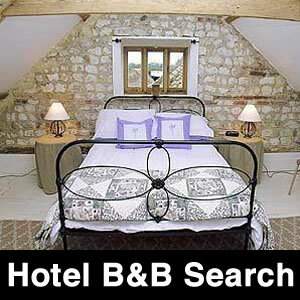 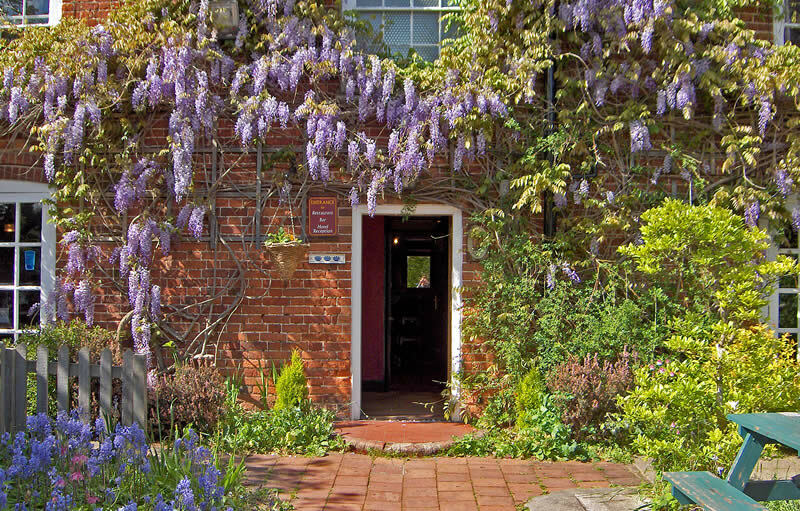 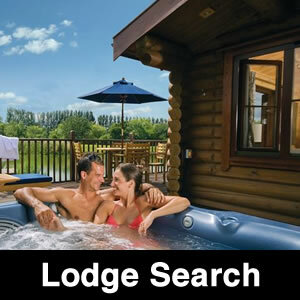 The hotel is also a pub and restaurant, with a cosy atmosphere and a large dining/function room. 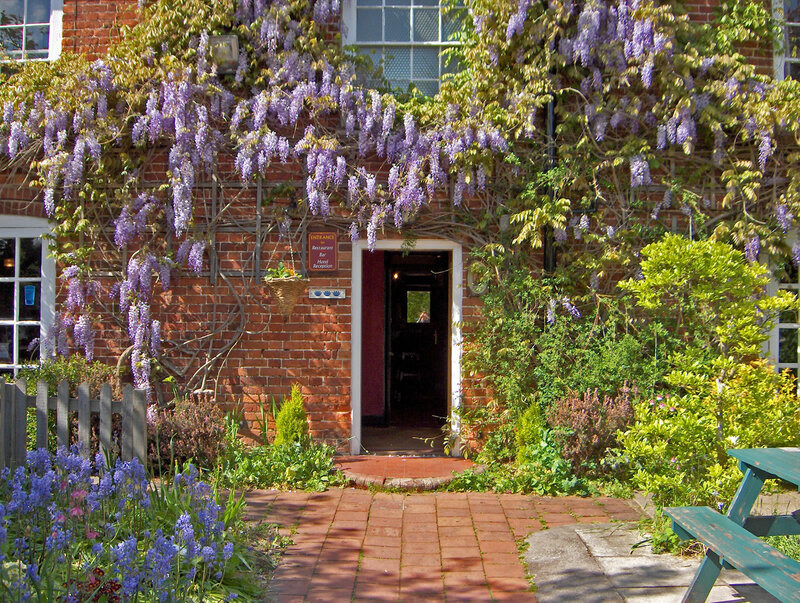 Next to the hotel is the Harmony health and beauty salon, a great place for a massage or have your nails done! 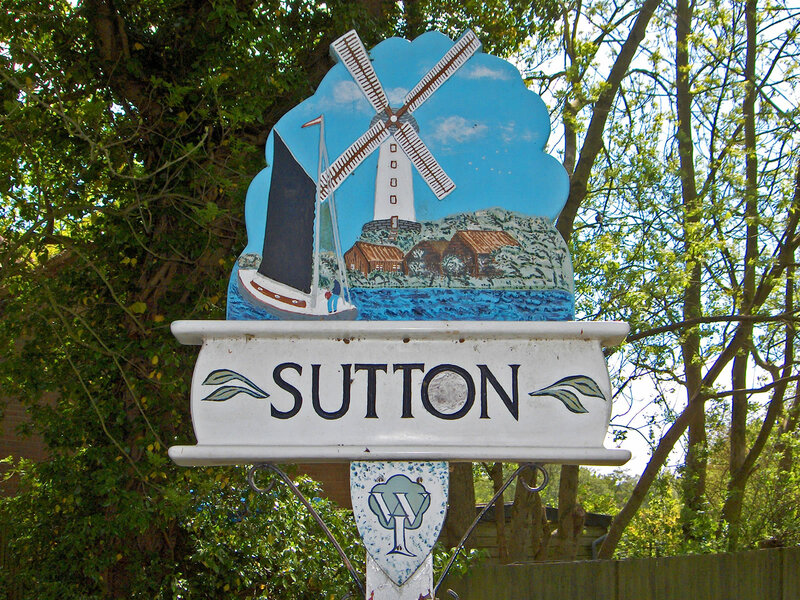 The residential village of Sutton is over the other side of the main A149 road. 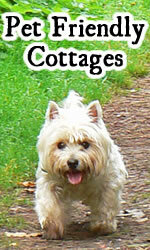 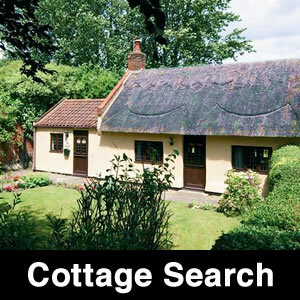 It has some lovely cottages grouped around a village pond. 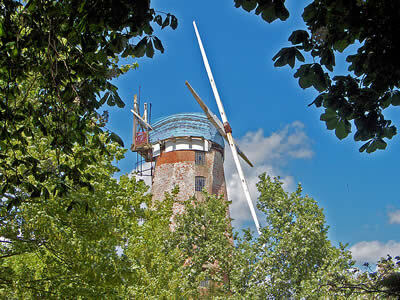 Nearby Sutton Mill is a 9 storey corn mill. It is well worth the walk from the staithe, if only to appreciate just how big this mill is - the tallest surviving windmill in the UK. 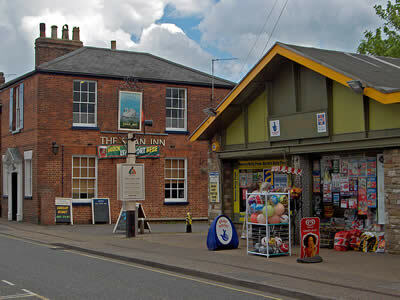 It was built in 1789 after an earlier mill had burnt down. The mill suffered a serious fire in 1861 and was then hit by lightning in 1875. 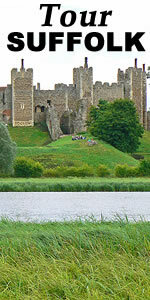 Its final end came in 1940 when it was again struck by lightning, causing a fire. 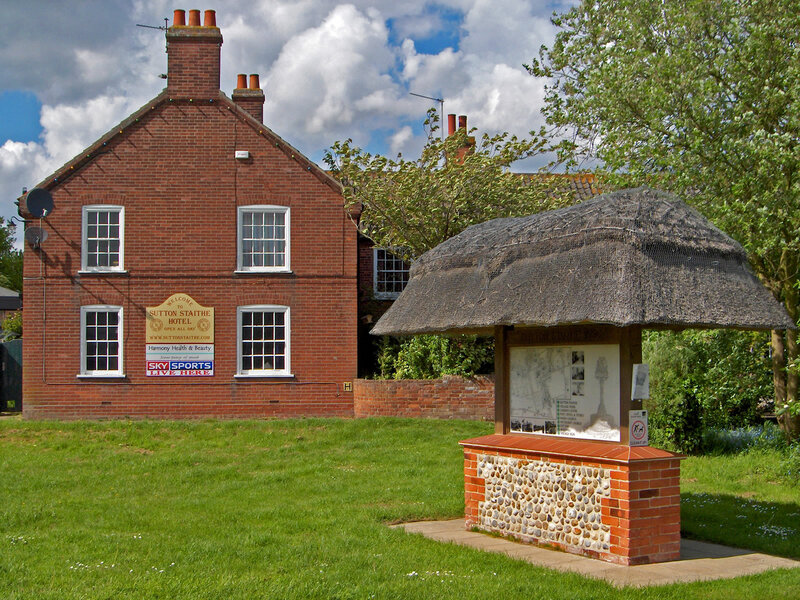 The mill, which by this time had given up grinding corn and was exclusively producing animal feed, ceased to work from that time. 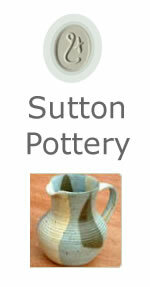 Sutton Pottery is a small studio workshop, established by Malcolm Flatman in 1977. The working workshop can be found just outside the village of Sutton and is an easy walk from the Staithe. 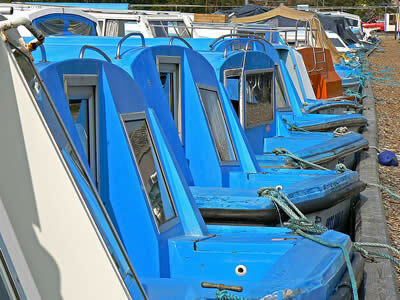 Alternatively, there is a small car park at the workshop. 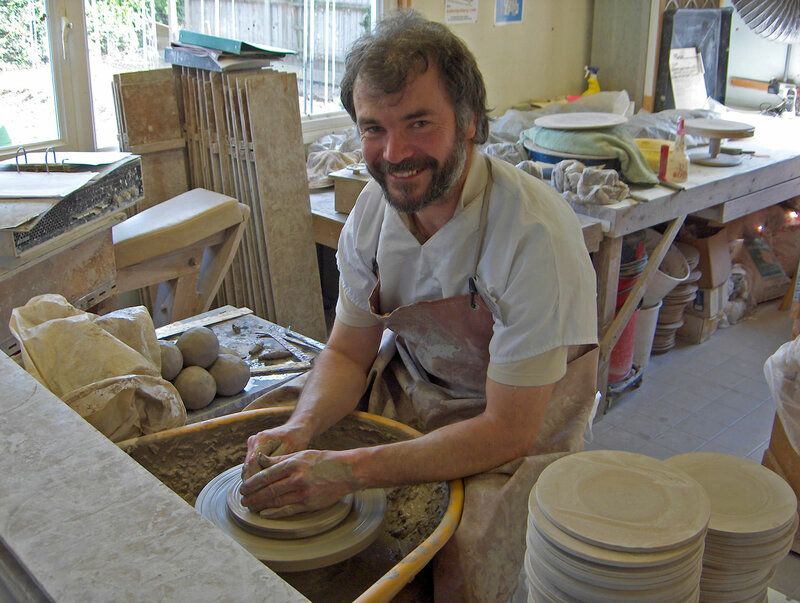 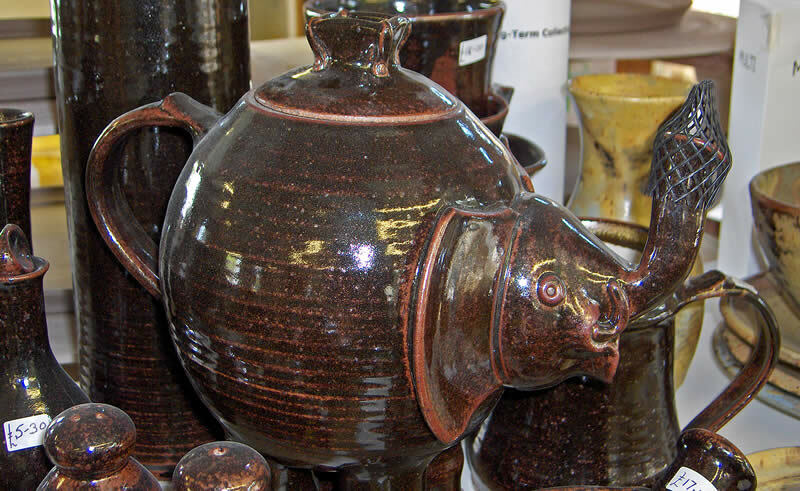 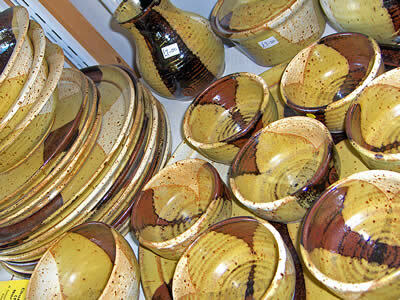 Malcolm uses the Potter’s Wheel and the fire of a gas kiln to create a large range of “reduction” stoneware entirely by hand. 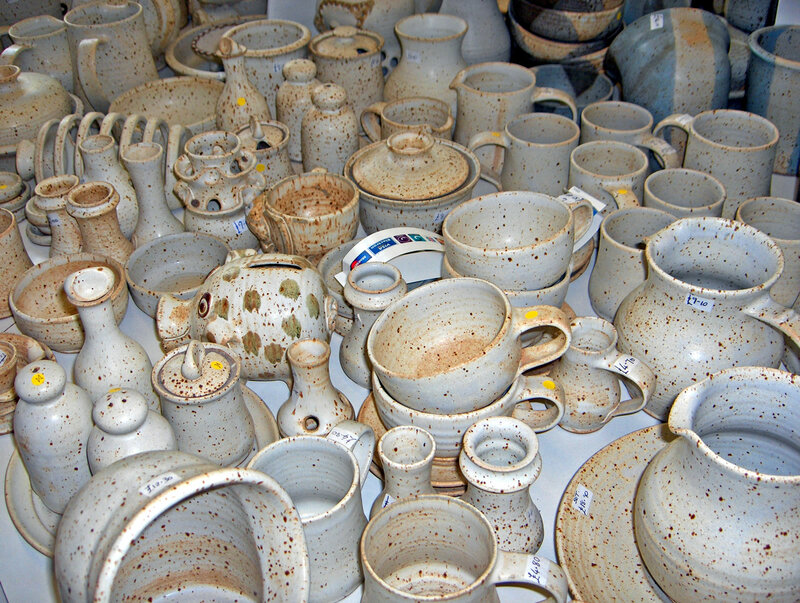 He has developed an assortment of practical, repeatable, replaceable and affordable tableware and kitchenware in a wide variety of glaze colours which he blends himself in the interests of consistency. 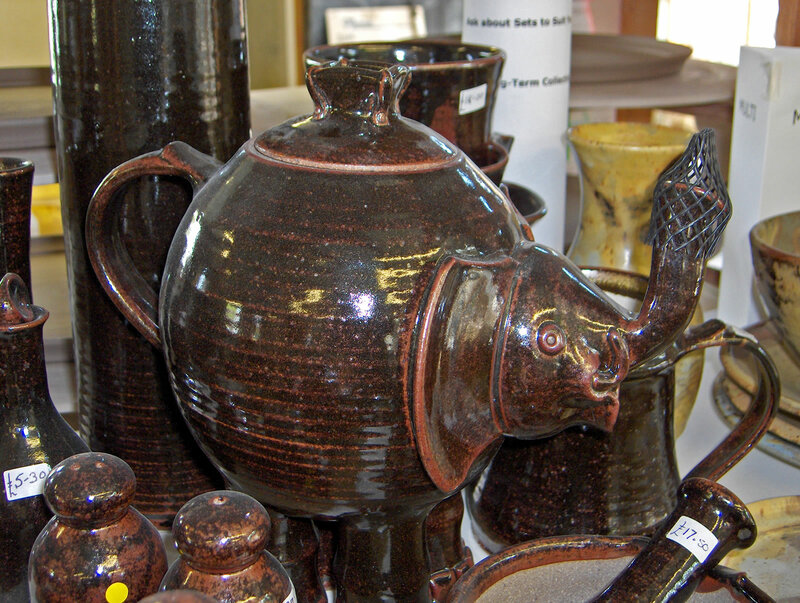 Malcolm also produces a multitude of more decorative pieces, including house name plates and other commissions, and some distinctive lamps. He also enjoys the challenge of making orders to customers’ own ideas. 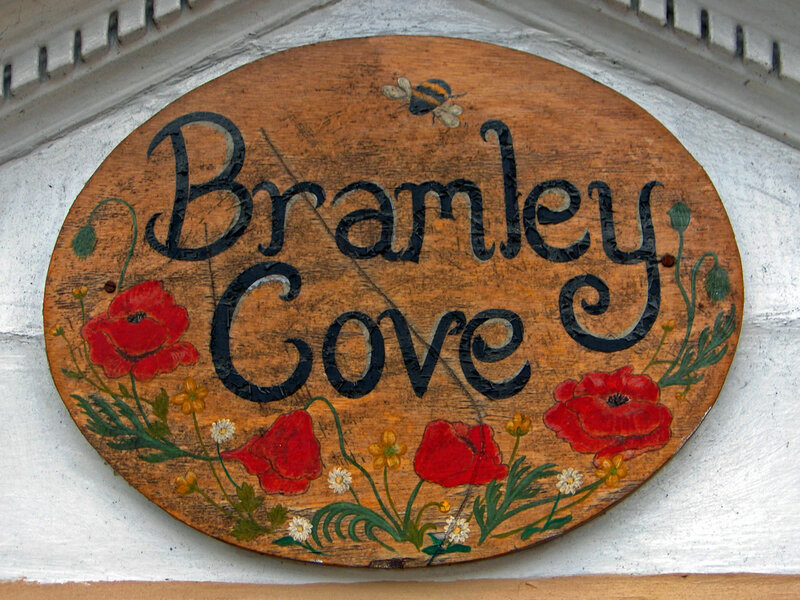 The pottery carries the distinctive “windmill” symbol. 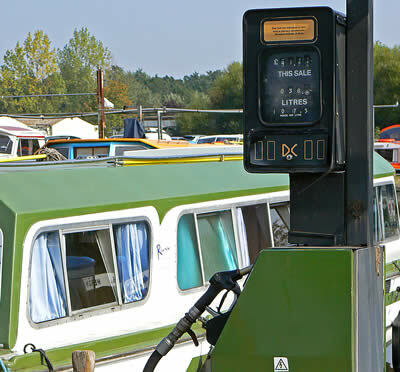 With many boating holidays starting from Stalham, the Tesco supermarket gives an opportunity to stock up on essential supplies. 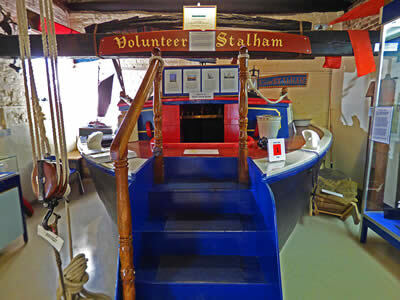 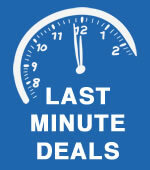 But before you leave Stalham, try and make time to visit the Museum of the Broads. Sutton Staithe is a beautiful place to moor up and explore.